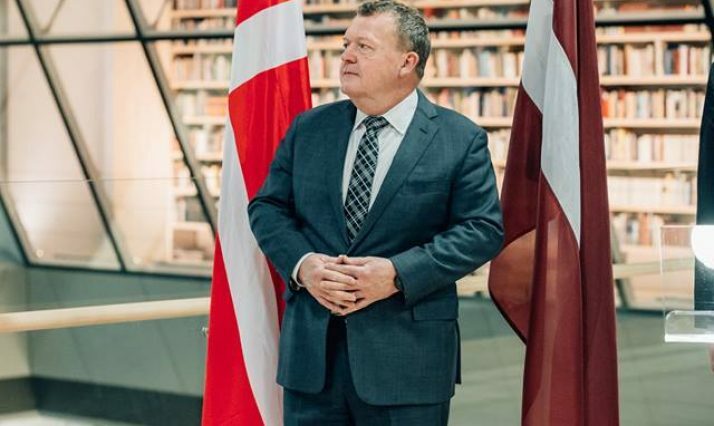 On the 16th of January Danish Prime Minister Lars Løkke Rasmussen visited the National Library of Latvia where the Prime Minister presented the official gift from Denmark to Latvia as part of the centenary. At the library he and the Latvian Minister of Culture Dace Melbārde were met by Director Andris Vilks who gave them a tour of the library before the ceremony. 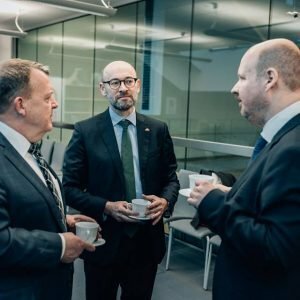 They saw the spectacular view from the 11th floor of the library wher Lars Løkke Rasmussen signed the guestbook. Afterwards the Prime minister saw the Dainu skapis which contains 150.000 Latvian folk songs. The Prime Minister then proceeded to the ceremony where he presented the official gift which was the historical book “Gesta Danorum” or “Deeds of the Danes” written by Saxo Grammaticus. This pierce is also special for the Latvian as it is one of the first written mentions of the country. This will be an important addition to the people’s shelve. This also marked the official beginning of the Danish Cultural cooperation with Latvia. At the ceremony speeches were held by both the Danish Prime Minister and the Latvian Minister of Culture who both singled out the work of the Danish Cultural Institute as invaluable in the relations between Denmark and Latvia since the independence. Finally the Prime Minister visited the offices of the Danish Cultural Institute, which are located in the library, where he met the employees of the institute and embassy. He have an interview to Latvijas Avize about the importance of the continued cooperation between the two countries. The institute was proud to be part of the visit and we hope to see the Prime Minister again.